teaches philosophy at Connecticut College in New London, Connecticut, where he is also associate director of the Goodwin-Niering Center for the Environment. He is a founding editor and contributor to Extinct, the palaeontology blog. The coelacanths are an ancient group of lobe-finned fishes, with weird appendages that take the form of bony, fleshy, muscular stalks. They’re well-represented in the fossil record all the way back to the Devonian period, some 390 million years ago. However, about 66 million years ago – the time of the dinosaurs’ demise – coelacanths disappear completely. It looked like they went extinct. Then, in 1938, someone caught a coelacanth in a fishing net off the coast of South Africa. The lesson here is that the absence of evidence – in this case, the lack of coelacanth fossils – is not the same as evidence of an absence. Take a kookier example. There’s a subculture of ‘cryptozoologists’ who believe that populations of pterodactyls are hiding out in remote parts of the globe, such as Papua New Guinea or the Brazilian rainforest. Pterosaurs, too, disappeared from the fossil record around 66 million years ago, and there is no proof that any of them exist today. Should we apply the same test as for the coelacanths? Or in this case, for some reason, does the absence of evidence amount to the same thing as the evidence of an absence? Figuring out the meaning of these gaps is notoriously difficult when you study the deep past. The ‘historical sciences’ of geology, archaeology and palaeontology deal with sedimented layers of matter, much of which has been destroyed or degraded over time. It can’t be reconstructed on a lab-bench or in a particle accelerator. In response to this challenge, palaeontologists perform a kind of scientific jujitsu. They treat the blank spots in the fossil record as evidence of something in and of themselves. Consider the idea that evolutionary changes are slow and cumulative, a theory known as Darwinian Gradualism. 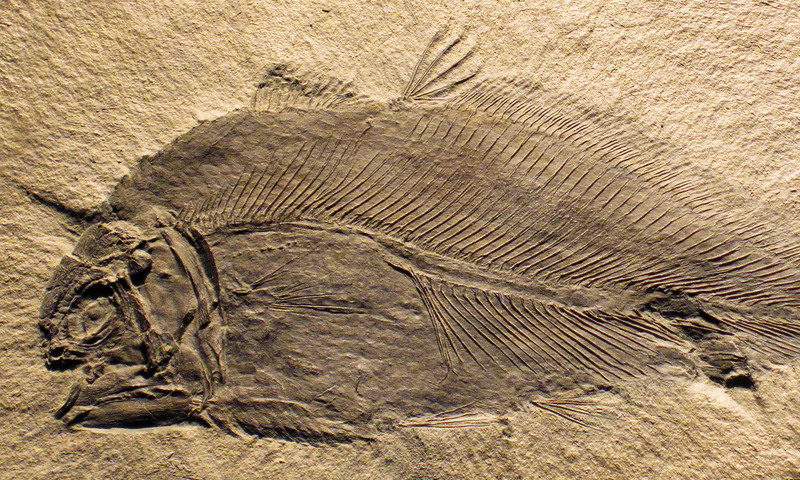 The fossil record contains some lovely specimens that point to gradual evolutionary change à la Darwin. But more often than not, a certain type of fossil just shows up in the rock strata, persists for a while as it is, and then disappears. Should we take the absence of proof of gradual change as evidence of the fact that evolution is not gradual? Darwin himself lost sleep over this problem. He eventually decided that the absence of evidence of gradual change is not, in itself, evidence of the absence of gradualism. Instead, he attributed the gaps to the record’s incompleteness. Yet this move had the unintended effect of relegating palaeontology to the sidelines. If palaeontologists study fossils, and if the fossil record is too full of holes to tell us about evolution, then palaeontologists must have little to contribute to our understanding of the process. Fast forward to the next century. In the 1970s, the biologists Niles Eldredge and Stephen Jay Gould argued that the lack of proof of gradualism is itself an informational signal. ‘Stasis is data,’ they claimed. If the fossil record contains periods where nothing changes, that’s because nothing, in fact, has changed. The lack of evidence of gradual evolution is simply telling us that there wasn’t much of it going on. Instead, they suggested that evolution happened by way of rapid bursts of change before reaching a plateau, a theory they called ‘punctuated equilibrium’. In the ensuing debate, the ‘gradualists’ shot back with the claim that history was covering its tracks: that the lack of slow transformation in the fossil record pointed to the rarity of successful fossilisation. Those in favour of Eldredge and Gould’s idea about sudden jumps in evolution, meanwhile, considered absences as indicators of biological reality. They wanted scientists to take stasis in the fossil record at face value. Either way, absences matter. Since being discovered in the late 19th century, the two dinosaurs have been put into different biological categories. The animals were considered close relatives, but each belonged to a different genus, the rank of classification above species. In 2010, the palaeontologists John Scannella and John Horner challenged this consensus with the so-called ‘Toroceratops’ hypothesis. They argued that Torosaurus and Triceratops were really the same kind of animal, and that the differences were just a question of the creature’s age. As individuals grew up, they got bigger, their frills got longer, and they developed holes. According to this view, a Torosaurus is just a grown-up Triceratops. Interpreting fossils that aren’t there comes with its own peculiar challenges, and these gaps and ghosts that haunt the fossil record are a big part of palaeontology’s allure. In dinosaur palaeontology, sample sizes are often small, and the challenge is to find creative ways to extract information from fossils. One of the most daring moves of all is to begin treating the fossils we don’t have as data. The case of the coelacanth and the pterodactyl are similar in one respect. Both fossils have been missing for the past 66 million years. But for pterosaurs, the best explanation is just that the animals went extinct. For the coelacanth, the message is more complex. Accounting for the gap might invoke the small population size, when and how fossilisation occurs in marine environments, and the fact that much of the rock on the ocean floor is quite young. For both creatures, at least one thing is clear: what doesn’t fossilise is often as revealing as what does.